We were grateful to receive fiscal sponsorship from PAN in order to apply for a Ben and Jerry’s Community Action grant. Vermont Myconode is an inspired local offshoot of the greater Radical Mycology movement. 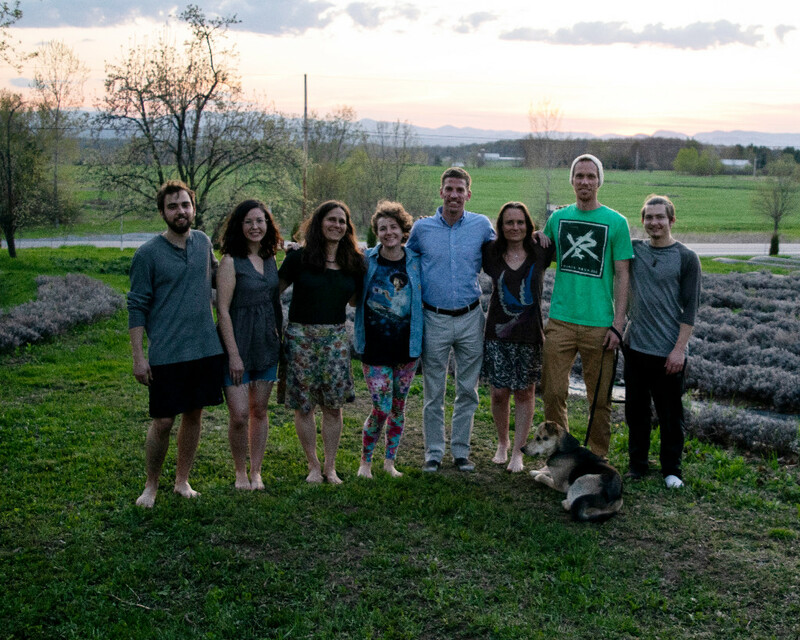 As a network of friends, colleagues, mentors, scientists, amateur mycologists, ecological restorationists, educators, students, earth workers, and mentees, we cultivate mushrooms, ideas, and strategies to apply the healing power of the 5th Queendom (Fungi) for food and medicine as well as for remediating human – caused pollution to restore ecological balance in Vermont. 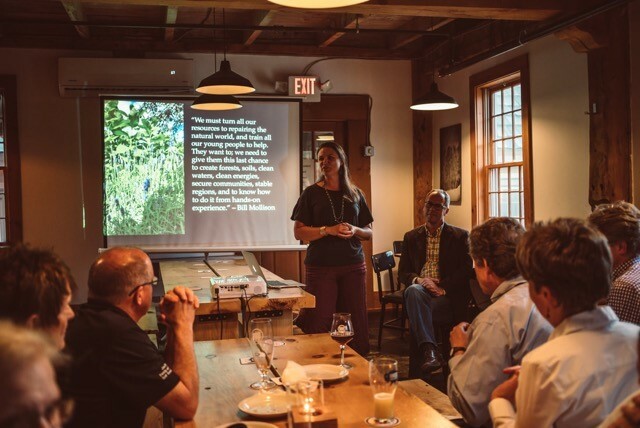 Our mission is applied through a spectrum of activities from inoculating woodchips or logs with spawn, restoring degraded ecosystems to decrease toxic levels in soil & water to non-toxic levels, providing educational workshops, and hosting work parties. In terms of applying mycoremediation to Vermont’s landscape, there is tremendous potential for remediating toxins currently threatening the health of Lake Champlain (Lake Bitawabok, Abenaki call it; translated as ‘Lake Between”) such as: excess phosphorus from fertilizers, hydrocarbons found in pesticides and herbicides and parking lot drains, pathogens from manure runoff, heavy metals in suburban, agricultural, and urban soils, and toxic chemical compounds in nonpoint source runoff. 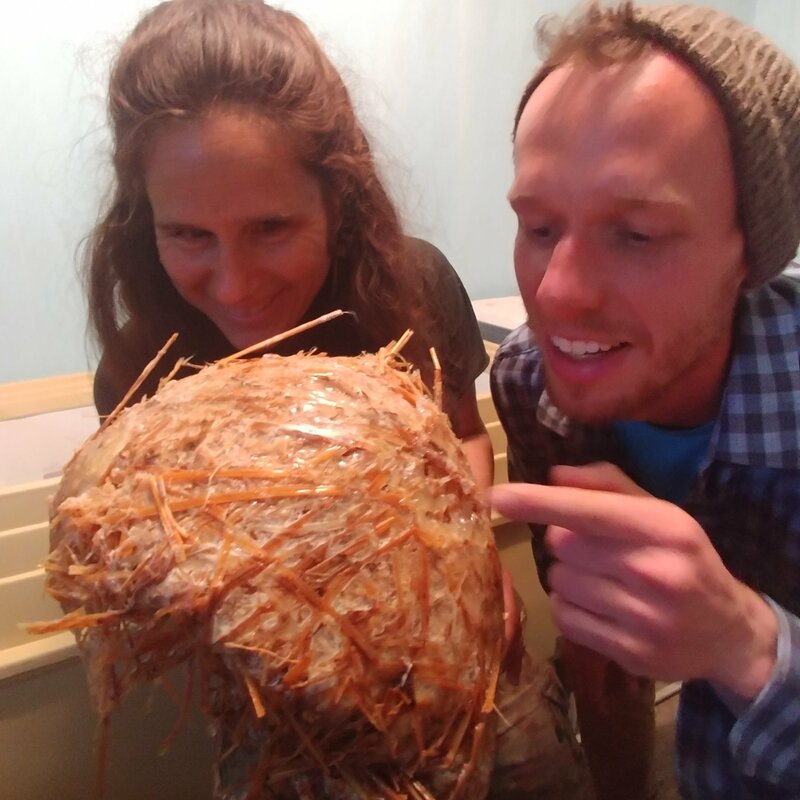 With these funds and New England Grassroots Fund support we have been able to create a library for our growing collective while helping to provide mycological educational opportunities to our members, create a lab for upcoming projects which the group and two local businesses Infinity Soils and Mycoevolve can access, and purchase inoculation tools which we will use in offering edible and medicinal installation workshops later this summer. 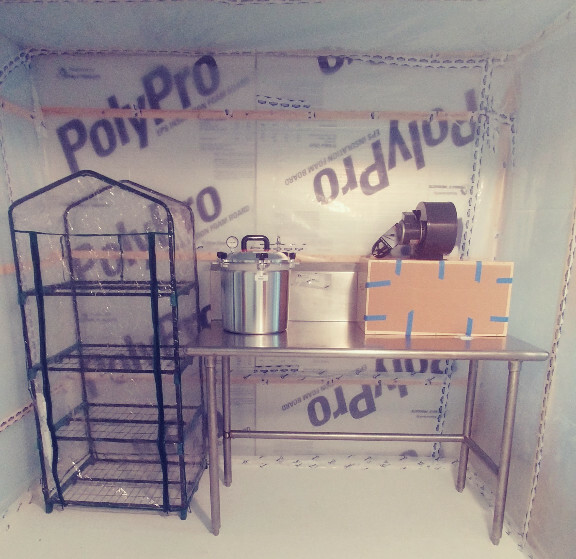 Once we fine tune the anteroom, ventilation and electrical systems, we plan to offer an indoor cultivation workshop in our lab and two fungal forays on the surrounding landscape before fall is in full swing. We are dedicated to acknowledging that we are on stolen land of the Abenaki First Nation People who call this land N’dakinna, translated as ‘Dawnland’ and to decolonize ourselves. As we increase access of mycological information to people of all backgrounds, we remain egalitarian, all inclusive; not discriminating on basis of age, gender, ethnicity, religion, mental health status, education, race, culture, sexual orientation, general appearance, income level, living situation, experience in social or mycological work. While we enhance local living systems through appropriate use of technology & well designed mycological systems, we apply mycological information to support the independence and sovereignty of local communities; growing symbiotic bridges between local groups, non-profits, and volunteers through shared mycological skills, knowledge, and insights. As we emphasize the use of local, non-polluting, non-exploitative materials and practices whenever possible in mycological endeavors, we strongly discourage the exploitation of fungi, mycoremediation, and bioremediation by government and corporate interests. We continually acknowledge, harness, and honor the wisdom of our ancestors; human, fungal & beyond with humility, gratitude, and curiosity. Once our systems are a bit more in place we aim to follow up on expressed interest by Abenaki tribal garden folk and inner city garden communities to offer outdoor cultivation workshops before harvest season. This summer, through the support of the Dorr Foundation grant and fiscal sponsorship provided by the Permaculture Association of the Northeast (PAN), Root to Rise is hosting a Permaculture Apprenticeship and Cohort (PAC) Pilot Program that provides students of permaculture a living classroom to apply their knowledge in the towns of Littleton, Bethlehem and Whitefield. The PAC Program requires students to actively engage with community leaders, organizations, and the general public to understand the practice of permaculture and apply that knowledge to projects that support community resiliency, ecosystem restoration, and strong social connections and bonds. 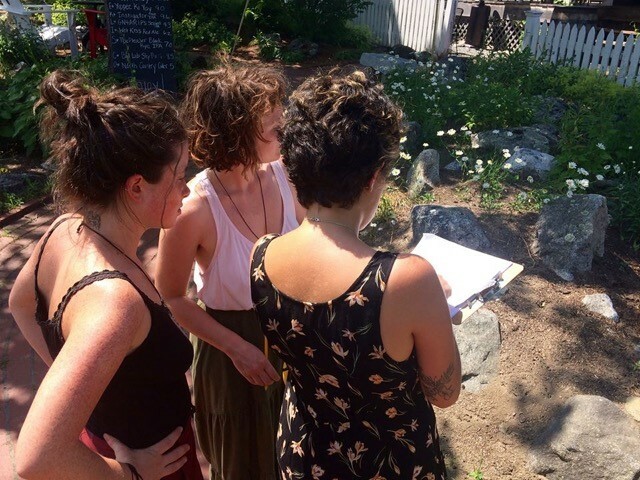 The students in the PAC program, with the guidance of their mentor, Stacey Doll, founder of Root to Rise, are specifically leading three community permaculture p rojects: A permaculture design and a series of implementation workshops at a local Brewery in Bethlehem, NH; the development of the Veterans Victory Garden Program with a demonstration garden that begins to explore the positive impact of gardening, earthworks, and food production on the psyche and comradery of veterans; and collaboration with the OAKS organization which provides a support network to promote Organizing Acts of Kindness for Seniors and sees the potential of permaculture projects to grow food and medicinals for our aging population. 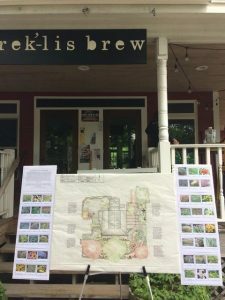 In a ddition to these projects, the students have met with town managers, public works, business leaders, conservation organization, and regional planning commission leadership in an effort to bring permaculture into the conversation of how to revitalize and restore our communities and our natural environment. Root to Rise is very grateful to PAN for providing fiscal sponsorship so that this work could happen. About Root to Rise: Root to Rise, a new permaculture nonprofit located in the North Country of New Hamsphire, formed with the purpose to provide permaculture education and empowerment programs through hands-on life experiences and training. 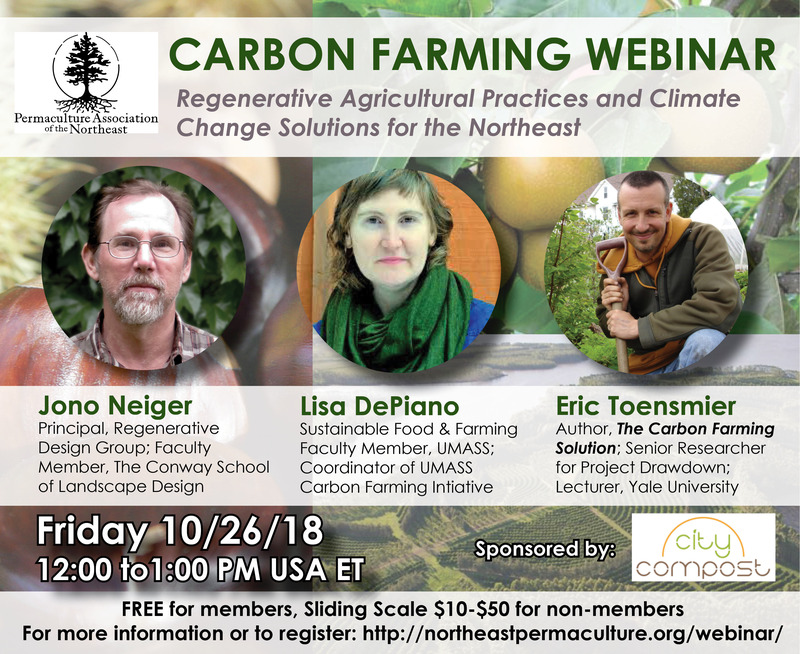 Root to Rise provides a place for students of permaculture, sustainable agriculture, and environmental studies to practice and lead planning, design and implementation projects in the field. Root to Rise is working with local businesses, organizations and community leaders to identify projects in the field that can become living classrooms for students and organizes workshops and hands-on learning experiences where community and relationship building are at the core of permaculture design and installation. It is Root to Rise’s intent to provide a platform for tomorrow’s leaders and today’s community builders to deeply understand our ecological systems and create solutions to human needs by mimicking these systems. ‘Inhabit’ is a documentary film exploring the idea of conscience inhabitance through permaculture. Filmmakers Costa Boutsikaris and Emmet Brennan release a short clip, highlighting the work/”gift” of PINE board member Steve Gabriel. “As we move into the final phases of the editing process and finalizing the score with our composer we are excited to share with you a quick look into a farm/character that we filmed after the KickStarter. Steve Gabriel practices forest farming at the WellSpring Forest Farm growing mushrooms and other understory crops. 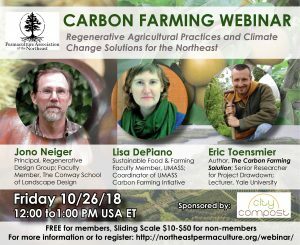 He just released an amazing book along with Ken Mudge about their techniques and research called Farming the Woods. The music was created by Aled Roberts our awesome composer!